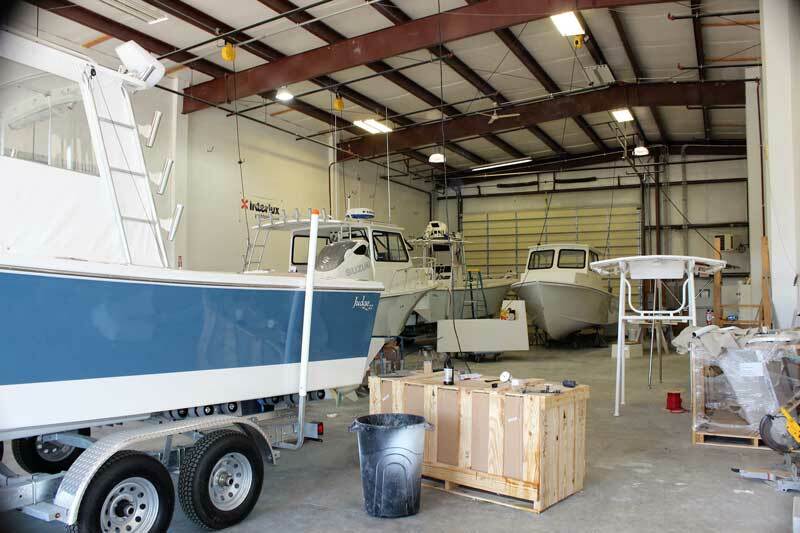 As we slide easily from summer into a typically pleasant Chesapeake autumn, it is good to look back on a busy season for area boatshops and look forward to fall. But the changing weather reminds us that change is all around us, even in the boating business. End of an era. After 36 years the last Custom Evans 50 leaves the shop in Cambridge, MD. Evans Boats launched its first custom boat in 1982. Fuel tank replacement in a 1989 Sea Ray at Hartge Yacht Harbor in Galesville, MD. 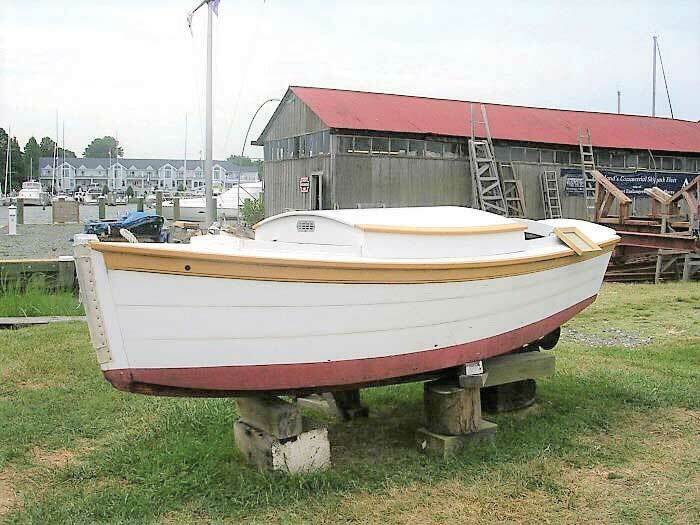 We have been following the two-year restoration of the nine log Bugeye Edna E. Lockwood at the Chesapeake Bay Maritime Museum (CBMM) in St Michaels, MD. As the project nears completion, we would be remiss if we did not acknowledge the unsung heroes of the sailing oyster fleet: the push boats. Since the oyster dredges could only be used under sail, dredge boats did not have auxiliary engines. Motive power for calms and tight-quarters maneuvering was provided by the push boat. These small powerhouses were carried on davits on the stern of the dredgers until needed. Then, they were lowered into the water, their reinforced and padded stems nestled into the transom of the dredger, and secured to the larger boat by lines from each quarter. Push boats are essentially floating engine boxes. Typically they have over-sized engines and propellers and no rudders, the steering being provided by the larger boat. Edna’s push boat has an 80-hp four-cylinder 4B Cummins diesel. The Skipjack Rosie Parks’s pusher has a 150-hp four-cylinder Vetus Hyundai diesel. Both boats have 18x12 propellers. A push boat used by sailing oyster dredgers at Chesapeake Bay Maritime Museum in St Michaels, MD. CBMM marine mechanic Josh Richardson reports that both the push boats have been serviced ahead of the fall season: engine and oil filters, fuel filters, gearboxes, raw water pumps, and sacrificial anodes. For Edna Lockwood, this work to her push boat is one of the final steps in completing the restoration of this National Historic Landmark. With a brand-new nine-log hull, Edna will relaunch at CBMM’s OysterFest on Saturday, October 27. Dave Inglehart of Mathews Brothers Boat Works in Denton, MD, also reports a busy summer. The fourth Eastport 32 that Mathews has built is in the shop for some last-minute details after a prelaunch test. Other than that, she’s ready to be delivered to her owner. Dave also described a unique conversion they recently completed. 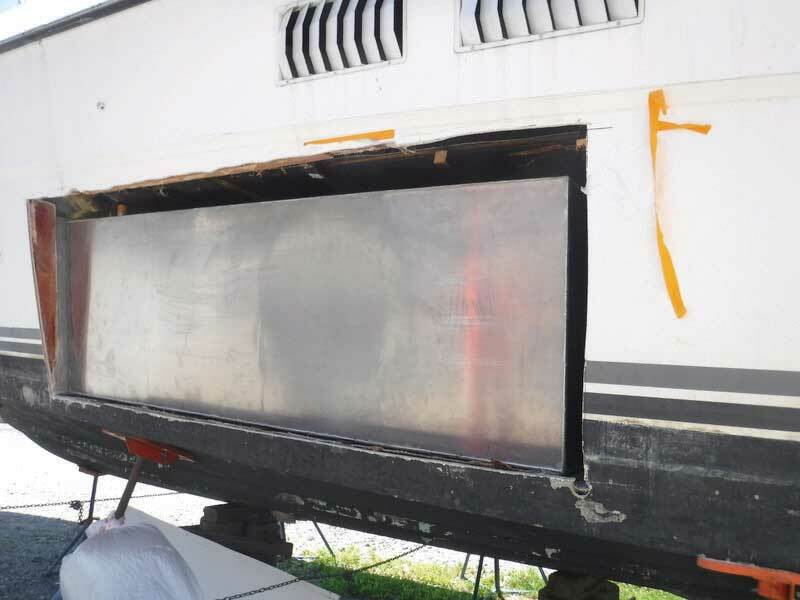 An owner of a Robbins 29 decided her workboat configuration was not comfortable for his family. Mathews removed the deck and installed a Patriot 29 deck and cabin module in its place. Other projects include the ongoing manufacturing of the small “Mini-Boats” for the Educational Passages organization of Kennebunkport, ME. Jerry Lecompte of Dockside Boat Works in Easton, MD, is staying busy. 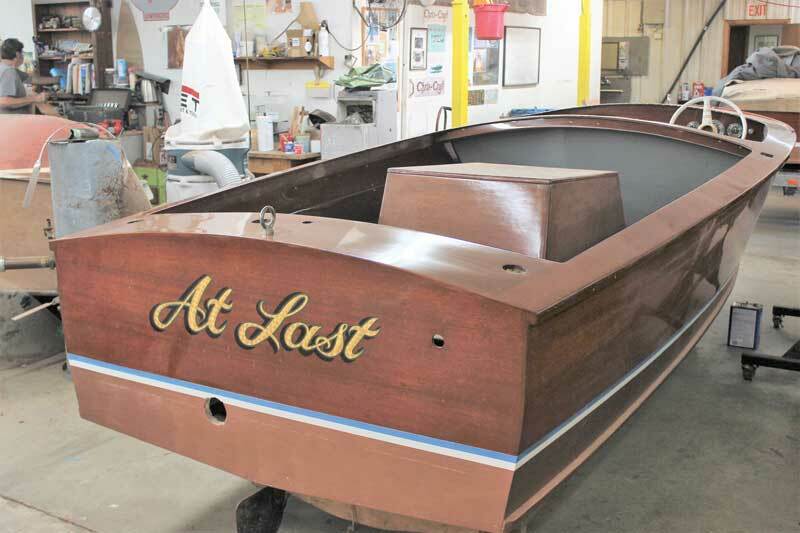 A current project in his full shop is the restoration of a 1950 Chris-Craft Sportsman. This restoration includes the rebuilding and reinstallation of the original 105-hp Hercules Chris-Craft flat head six engine. 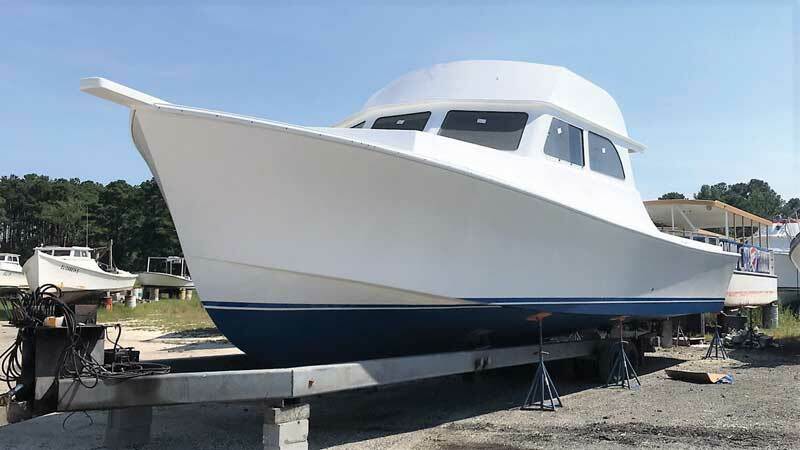 Other projects include restoration of a relatively rare 22-foot 1950 Chris-Craft Sportsman Sedan and a 1955 Century Resorter. Judge Yachts in Denton, MD, is having a busy summer. Erik Zseltvay reports that they have four boats in the rigging bay, where the boats are completed and all equipment is installed. 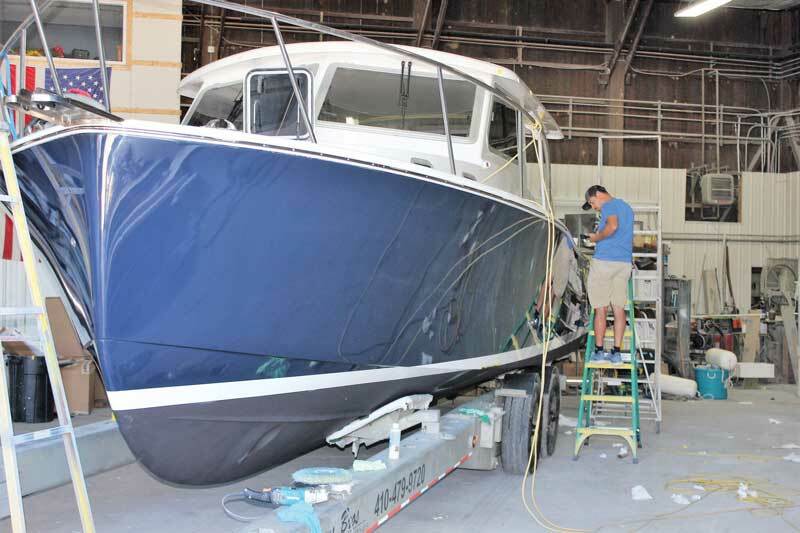 There is a Judge 265 Center Console and three 27 Chesapeakes being fitted out in the bay. One of the 27s is completed and on its trailer and ready to deliver to the owner. Next door in the assembly bay a 24 Chesapeake, a 27 Chesapeake, and a 36 Chesapeake are in various stages of completion. Erik echoed the theme heard in most shops this summer that there never was a summer lull.